Don't be alarmed, I'm not going through another black phase. This is a necessity project. One of those I really don't want to make it but I also don't want to buy one. 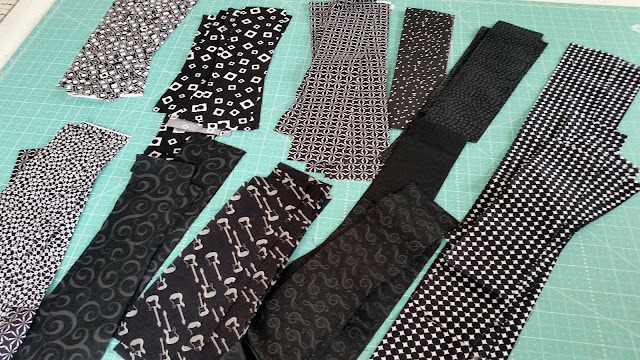 So the lesser of two evils is to make whatever it is you need from scraps. My project doesn't need to be pretty, just functional and a dark color. Doesn't get much darker than black! 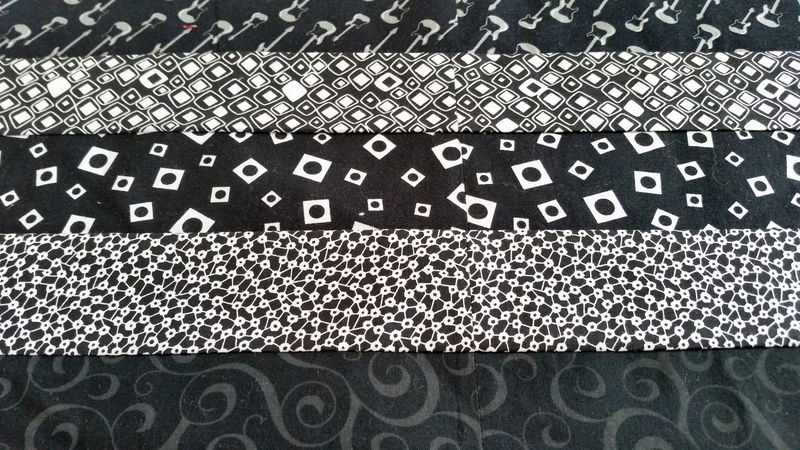 So I dug through the black scrap bin and found these scrap over cuts from a quilt I made for my son years ago. 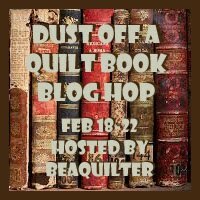 Sadly I don't have a picture of the quilt. 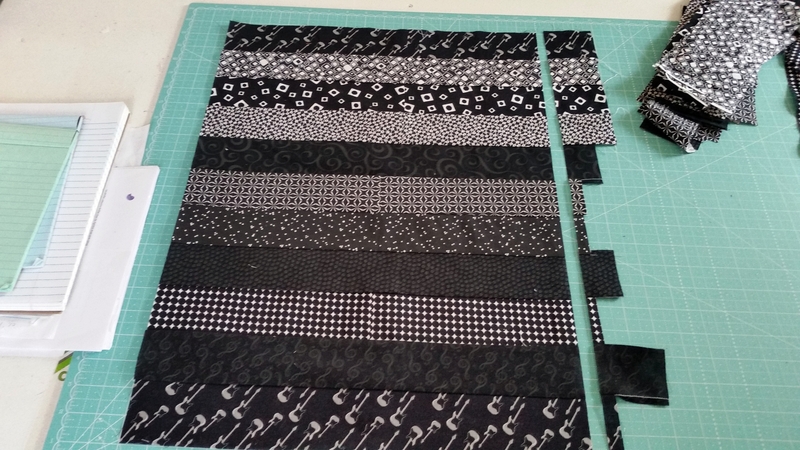 I quickly sewed together the strips and trimmed them up. If you look closely you can see each row has two short pieces sewn together. 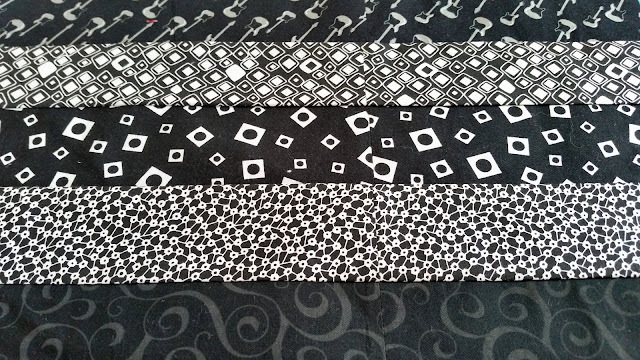 These prints hide the seams well. 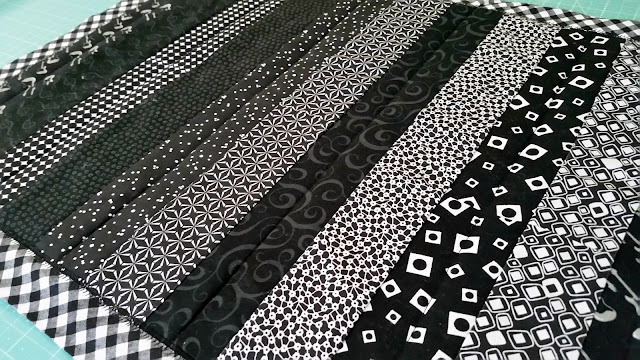 I can remember getting dizzy and sick to my stomach when making the quilt with these fabrics. For some reason the prints seemed to move on the black backgrounds. 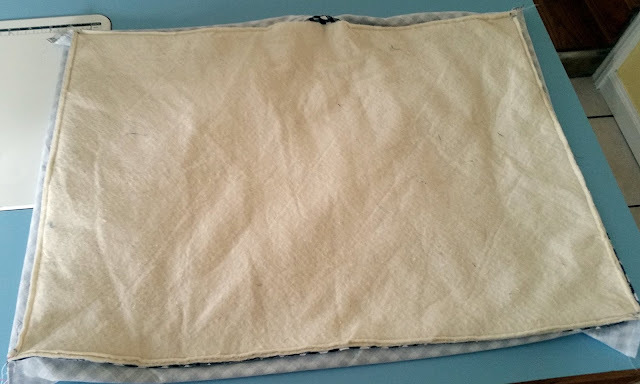 After trimming I layered an old scrap of cotton batting(and sneezed and sneezed and sneezed) with the backing. 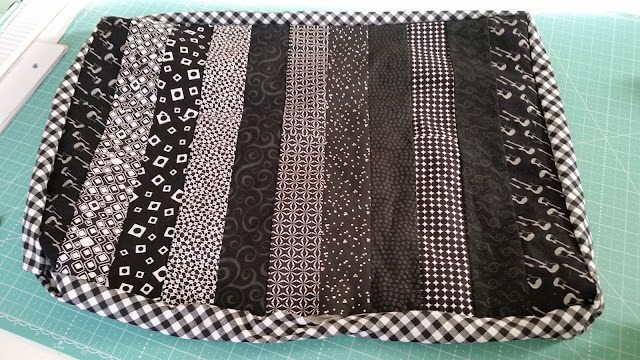 I used the tutorial for a quick receiving blanket. This tutorial miters the corners when the fabrics are layered right sides together and then turned right side out. It's magic! And they are super quick to make. 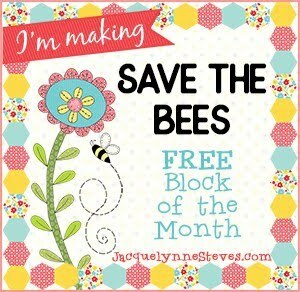 You can find the video tutorial for the baby blankets at the bottom of this post. It's turned and it's looking like it might be a little wonky. 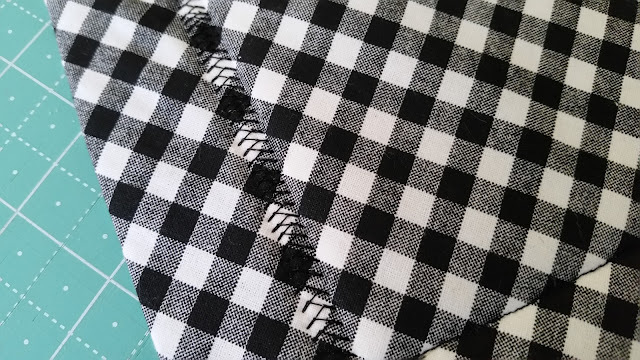 The black gingham is a bias cut and I knew this might happen, but as I said before this doesn't need to be pretty, just functional. A good pressing and pushing it into shape will be fine. TADA! A little wonky in the upper right corner but I don't think it's going to be a problem. A little fancy machine stitching to hold things in place along with very little straight line quilting. 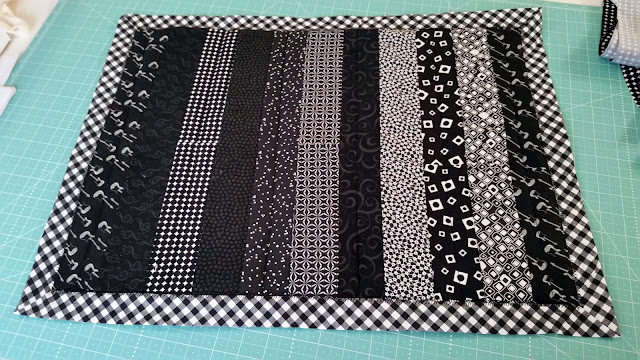 Here's the back showing the simple quilting....Whoa....this picture makes me dizzy! Super simple to make and I did it in about an hour and a half. Now to add the cute little plastic placemat I found at our local Ollies for .99 cents a couple of weeks ago. 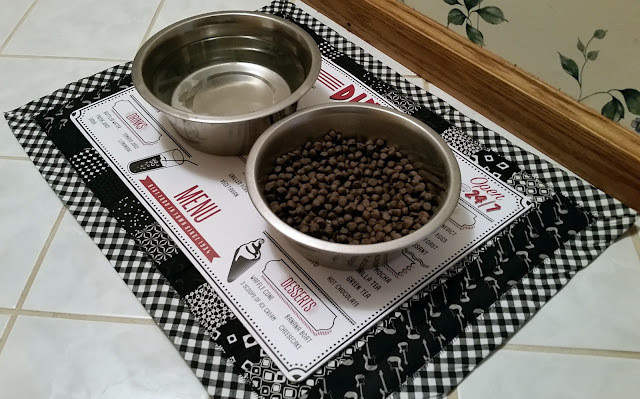 Here's the tutorial used to make the placemat. The concept is the same. 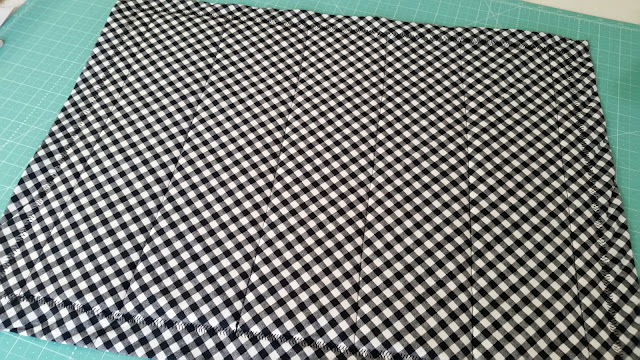 I cut the gingham fabric 5" larger than the strip panel. Strip panel, 12 x 18. Gingham backing 17 x 23. This is too cute! 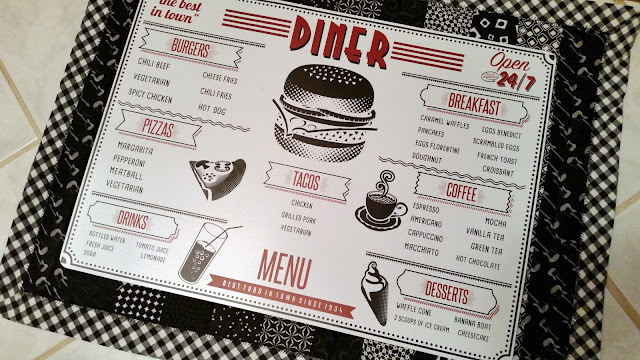 Love the cute placemat you found at Ollie's, too. This is just what I need for my dog, Cooper. The plastic mat is a great idea, too. Thanks for the tutorial!